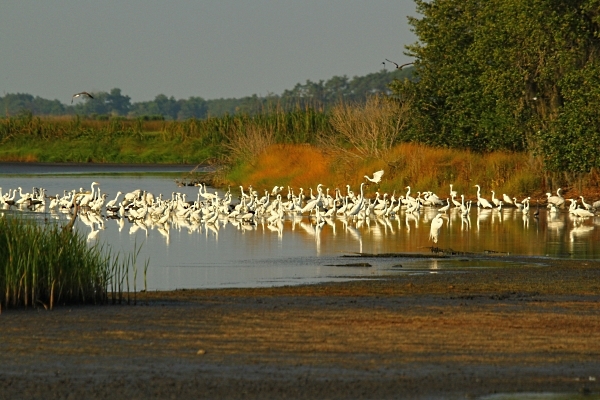 The DNR's Bear Island Wildlife Management Area (WMA) is a Category I Waterfowl Area, well-known (and much beloved) by Palmetto State hunters for its thousands of acres of managed wetland impoundments, which attract an unrivaled bounty of migrating ducks during the winter months. 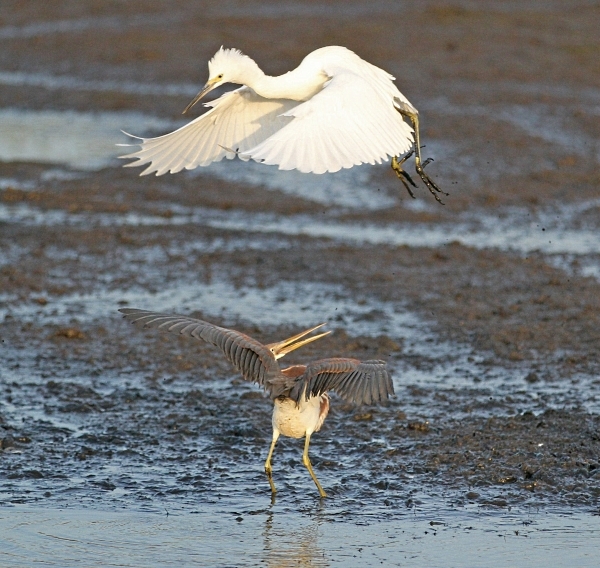 But in the spring, after the chest waders, decoys and steel shot have been packed away for another season, Bear Island's miles of dikes and walking trails become a wildlife photographer's dream location. 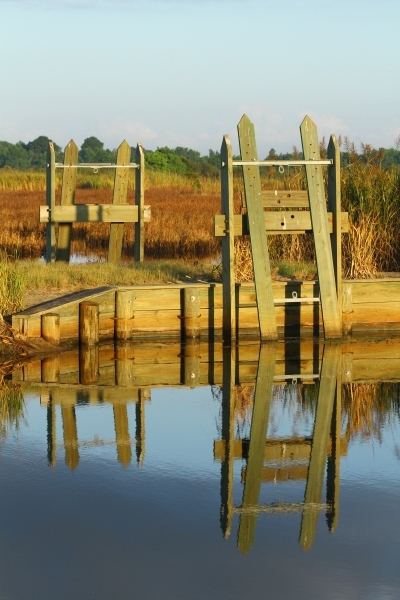 Trip Location: Heart of the ACE Basin; specifically, the dikes and ponds of the SCDNR-managed Bear Island Wildlife Management Area. Trip Difficulty Rating: Moderate - the vast majority of the places to view wildlife at Bear Island are located a considerable distance from roads that are open to vehicles, so come prepared to walk. 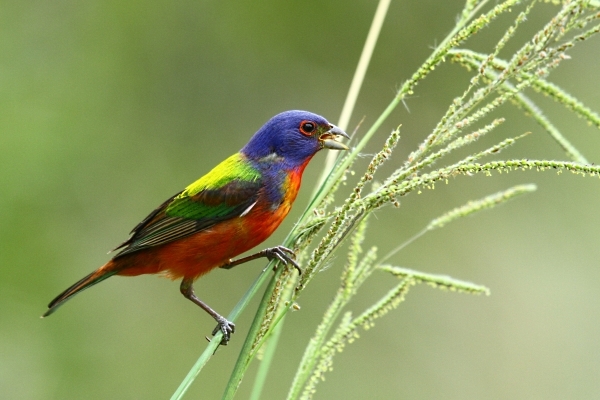 However, the walking trails along the dikes are smooth and level, and there are some good bird viewing areas located near the property's entrance for folks unable to make a long hike. If You Go: Bear Island WMA is located off of Bennett's Point Road near Green Pond. 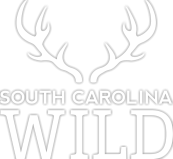 Maps, regulations and other information are available on the DNR website: www.dnr.sc.gov (click on the "Public Lands" link on the left side of the page). NOTE: Bear Island WMA is closed to general public access during the late fall and winter each year to accommodate lottery drawn hunts for deer and waterfowl. In 2015, public access resumes beginning February 9th. The observation deck located on Bennett's Point Road and the area around Mary's House Pond that is accessible outside the main gate can be visited year round. Please park vehicles in a safe location and be aware of traffic as you walk to and from these viewing areas at all times of the year. I love Bear Island WMA in the spring. 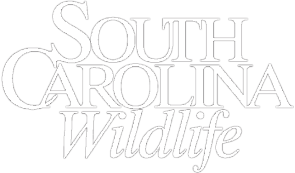 Temperatures are pleasant, skeeters are not too bad, biting flies haven't shown up yet, and best of all, while Bear Island is closed to the general public for safety reasons while the annual managed duck hunts are taking place, the area is open for general public visitation from February 9 through October 31 (in 2015) during daylight hours in designated areas. I am a frequent visitor. Mary's House Pond is awesome to visit for many reasons, but topping the list is the fact that it's accessible to visitors from Bennett's Point Road, even when the rest of the property is closed for the season. Plus, it's usually loaded with birds and provides spectacular sunrise shots. So it's 7 a.m. on a typical Saturday in March, and as I drive down Bennett's Point Road from the turnoff on U.S. Highway 17, just east of the old Wood Brothers Store location, I am on high alert. 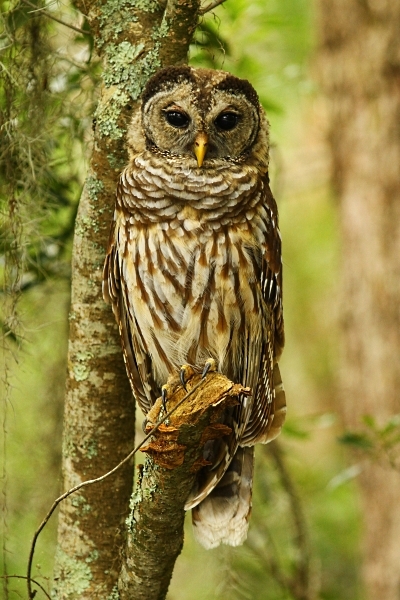 In addition to the usual suspects (deer), in the past I have seen gators and a barred owl sitting in the middle of the road. Spots containing roadkill are particularly ripe with opportunity (no pun intended), as eagles often compete with vultures for the remains. 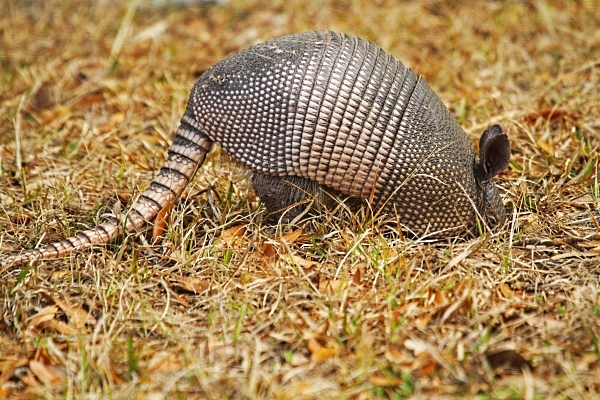 The first armadillo I ever saw was nosing around in the grass by Airy Hall Plantation. Now they're everywhere. Crossing the Baldwin Bridge, my adrenaline really starts pumping, as the bridge is a good place to spot raptors. But if you come, watch the road too, because clapper rails like to walk the center line. My first stop is Nancy Hill, a spot of high ground among the man made impoundments that make up the majority of the property's area - relics of Bear Island's rice-producing past. 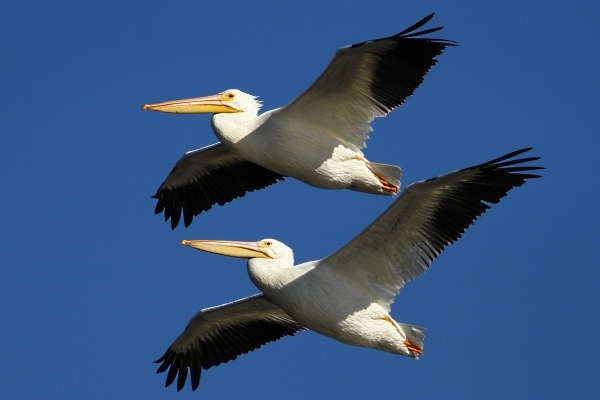 Nancy Hill has plenty to offer for birders and photographers (like an active eagle's nest). 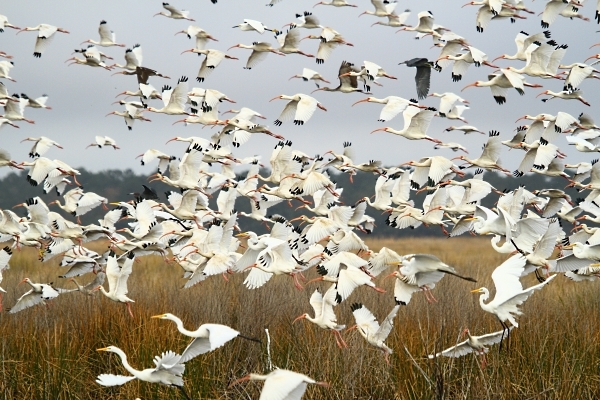 When the tundra swans and white pelicans are in, Nancy Hill provides excellent viewing locations. After Nancy Hill, I drive past the WMA's main entrance and check the causeway on Bennett's Point Road separating Mid Pond and Mary's House Pond. 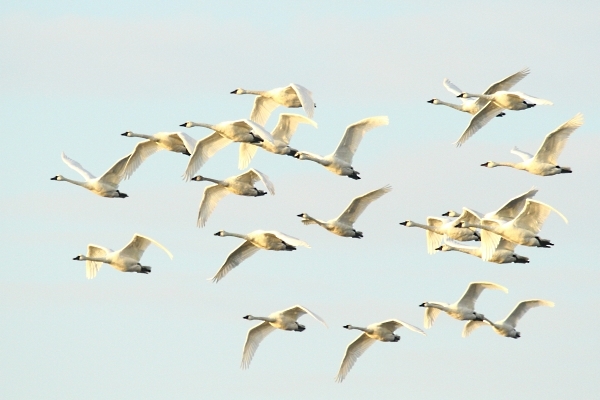 Mary's House Pond is a runway for swans and pelicans, and most fly over the causeway headed to feeding grounds. The causeway provides great photo opportunities... but you run the risk of being hit by vehicles, so be vigilant. There are signs up warning visitors not to stop in the road for that very reason. While I deny culpability, in my defense I would point out that any incident that may (or may not) have happened involved eagles... lots of eagles. But don't take a chance, pull off the road and park at a safe spot before you get on the causeway. 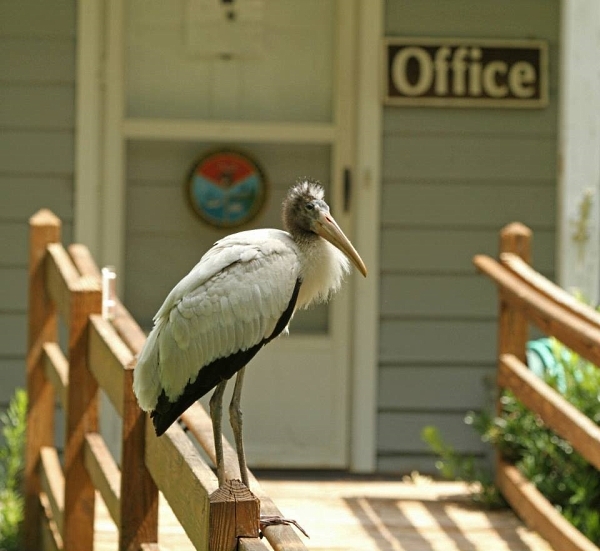 Past the causeway, I continue to Mid Pond where I either turn around (depending on what was on the causeway) or check the fishing spot - the first place I ever saw wood storks. Then it's time to head onto Bear Island proper. After a quick stop to check out Mary's House Pond from inside the main gate, I drive on across the causeway separating Mary's House Pond and Ashepoo Pond, headed deeper into the dikes and ponds that make up Bear's eastern half. Birds are usually visible on both sides of the road. 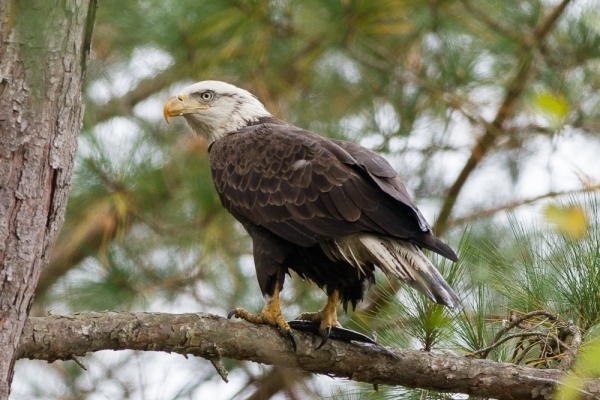 There is an active eagle's nest on the far side of the pond, an osprey nest by the equipment sheds and both fish the nearby ponds regularly. Last, but not least, are the gators. 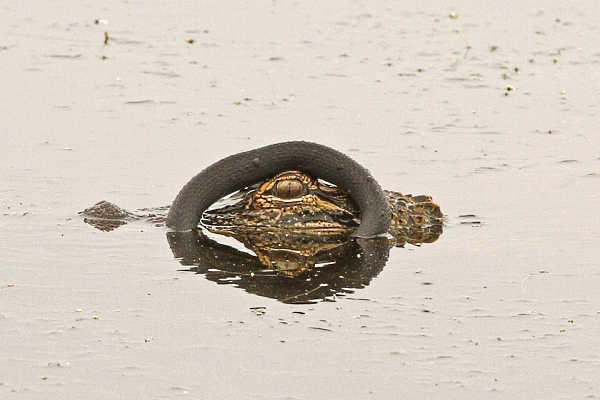 I once spent an hour on the causeway watching a gator fight with a snake. The gator eventually won, but must have been winded because he sat there for a long time... with the snake wrapped around his head. Back on Ti Ti Road, I continue my quest. There is a section on the left that serves as a gator nursery. 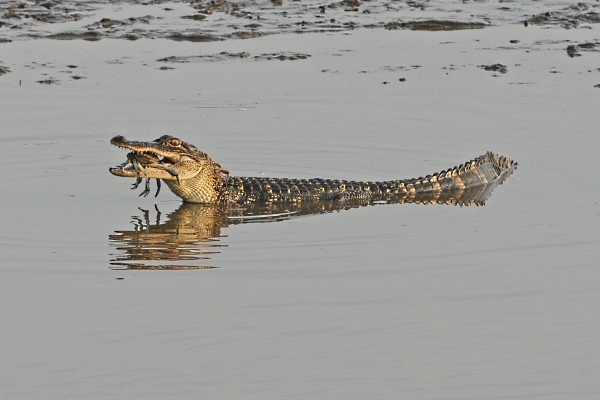 It is easy to pinpoint the gators - just look for drag marks in the road. Gators are nice, but what I am really looking for is indications that the DNR staff at Bear Island are lowering the water level in the impoundment, because lower water equals feeding frenzy in my world. And these frenzies are contagious, because if one is going on then I get into a frenzy and contact every photographer/birder I know. A couple of days and several thousand pictures later, the frenzy is over and we are elated, but exhausted. I live for these feeding frenzies and if you ever saw one you would understand. However, I have learned there is not a set schedule as to when a particular impoundment at Bear Island is going to be drained. 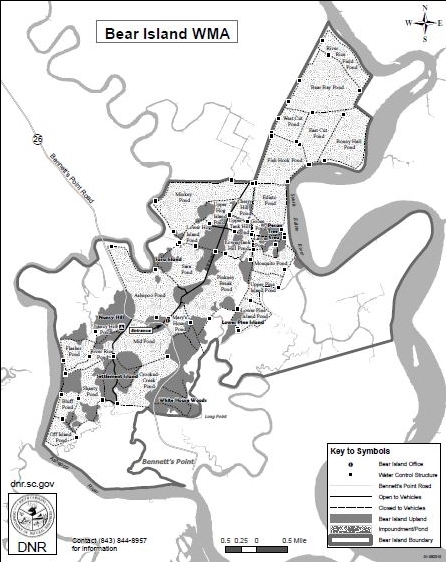 Many factors are involved in the property managers' decisions about managing water levels [see "Moving Water" by Joey Frazier in the September-October 2014 issue of SCW], and it doesn't happen on any type of regular schedule that they are able to share with the public. So, it's really just luck if your visit coincides with a time when water in an impoundment is being lowered. But if you do, the photo opportunities can be spectacular. Often times you can spot a potential feeding frenzy by the number of birds rolling into a certain area. And birds aren't the only ones answering the dinner bell. 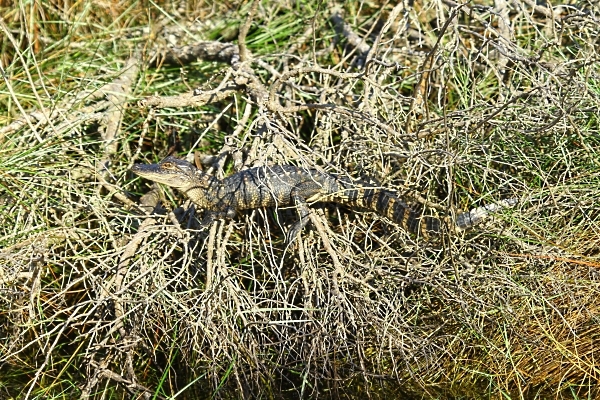 For every twenty birds present, there are probably five gators there as well. 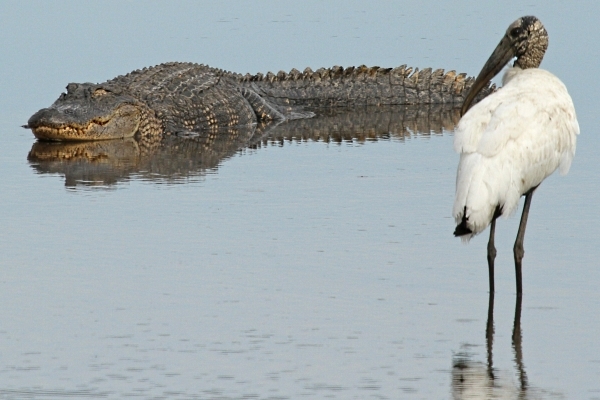 It is one of the few times the hunters (gators) and their prey (birds) seem to work together. 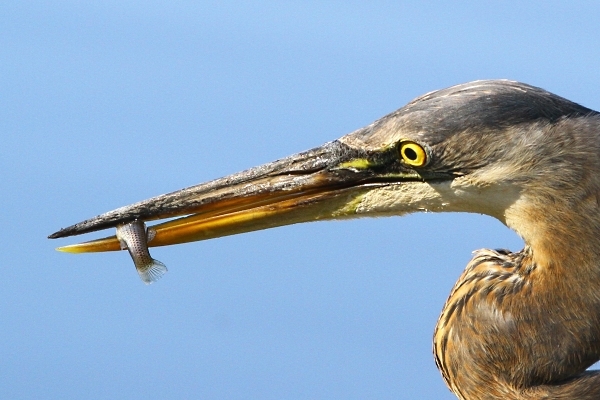 It is also one of the few times birds can turn the tables on the gators, so to speak. 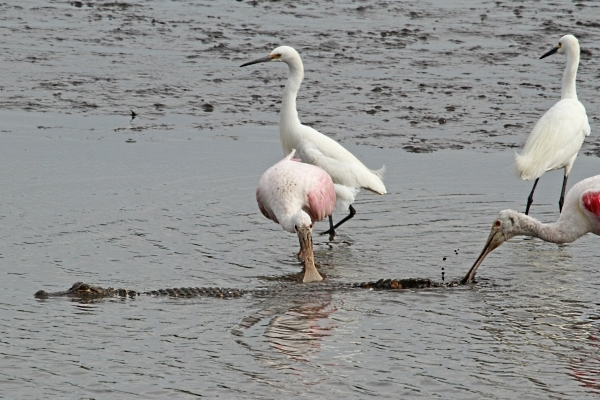 On a couple of occasions I have observed Roseate Spoonbills biting the tails of the little gators that swim by. 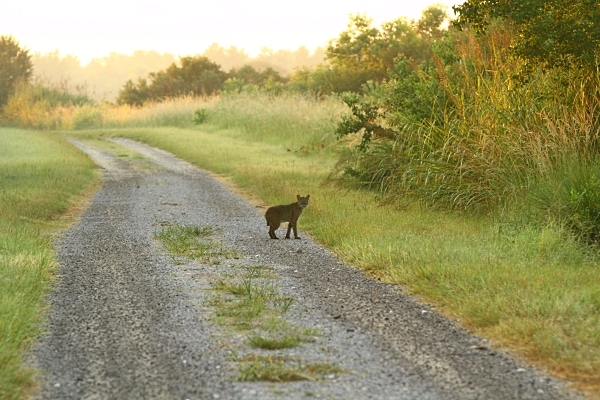 If you are really lucky, you might catch a glimpse of a really special dinner guest - the bobcat. On four separate occasions I have spotted bobcats at the rice trunks. 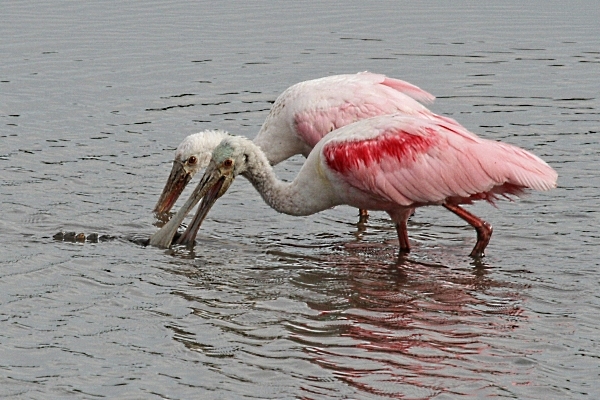 Last, but certainly not least, the feeding frenzies provide two other distinct advantages to wildlife photographers/watchers. 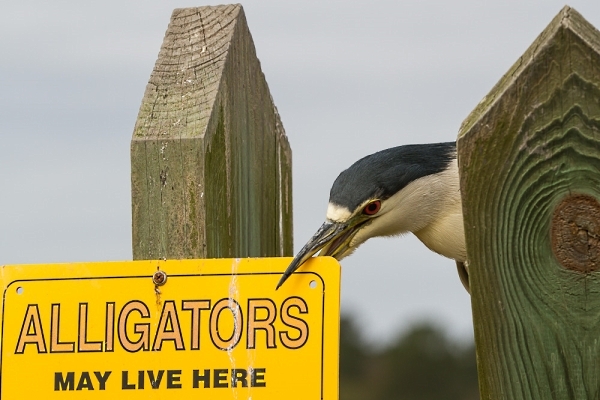 First, birds/gators caught up in the frenzy are more interested in eating than whatever is going on around them... so you can get much closer to them than they would allow under normal circumstances. 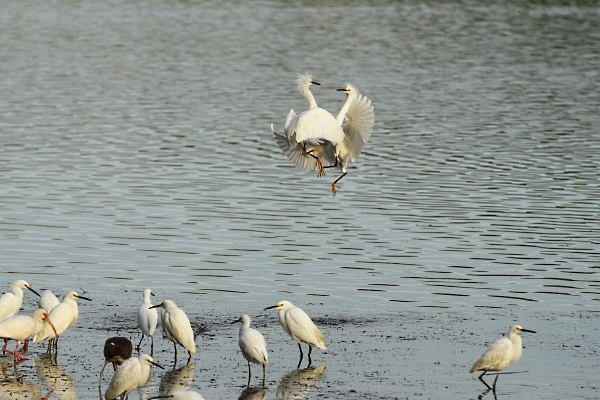 Second, a large number of birds and a limited number of fish makes for some epic battles. Now you know why Bear Island is one of my favorite places to visit and why I go so often. Donnelley WMA is another favorite and is just up the road from Bear Island, but that is a whole other story.